Also, the fact that you think the Randstad is barely connected shows how utterly clueless you are, lol. Linda, relax. I'm not here to be combatitive with you, I was only under the impression that you were trying to say the SF Bay Area is a POS, nondiverse, cheap s---, worthless place. You're not from Philadelphia, I don't see you as an enemy, relax. The Bay Area doesn't even come close to that. It has a population of 7.1 million spread over 18,088 km² (6,984 sq. mi.) of land. That's over twice as much! I don't blame you for not understanding the US way of adding areas most folks that live in the US barely understand lol. In the US we have counties with large land areas and the ones in the SF Bay Area are sparsely populated except in a small corner where it's dense sprawl, the rest of the county is all mountains, if we had more flat land area we would develop on it but we don't. I wasn't even talking about that kind of diversity. Then be clearer next time. 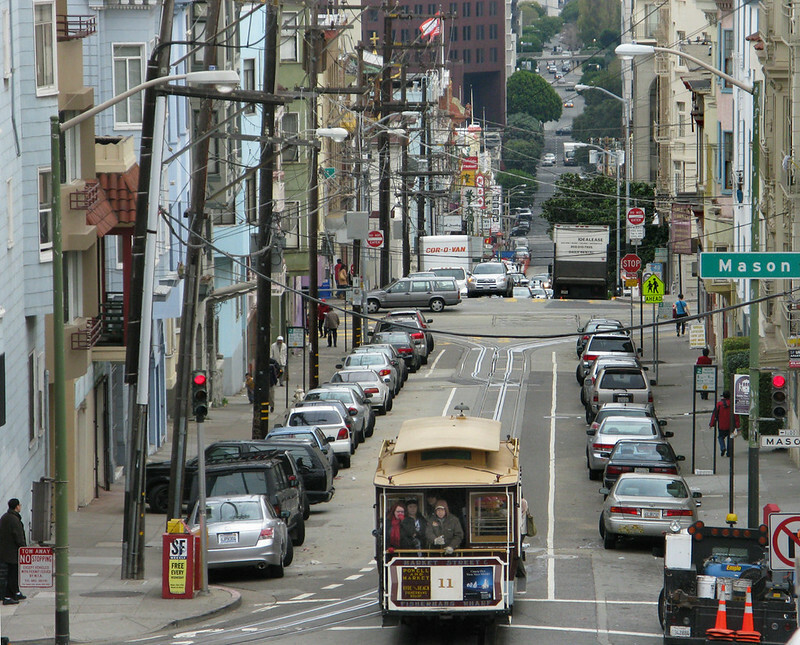 The Bay Area simply does not have this kind of diversity within such a small area so as a visitor, I would prefer to spend my time in the Randstad. Agreed. Next time say THIS if thats what you meant. Btw, since you asked about diversity: Amsterdam, Rotterdam and The Hague all have a ~50% foreign origin population and the largest immigrant groups come from non-Western countries (Surinam, Morocco, Turkey). You really think the Bay Area is denser than the Randstad? I think the spaces in the SF Bay Area are more filled up between cities than Randstad is what I meant by that. Continuously and densely built up. 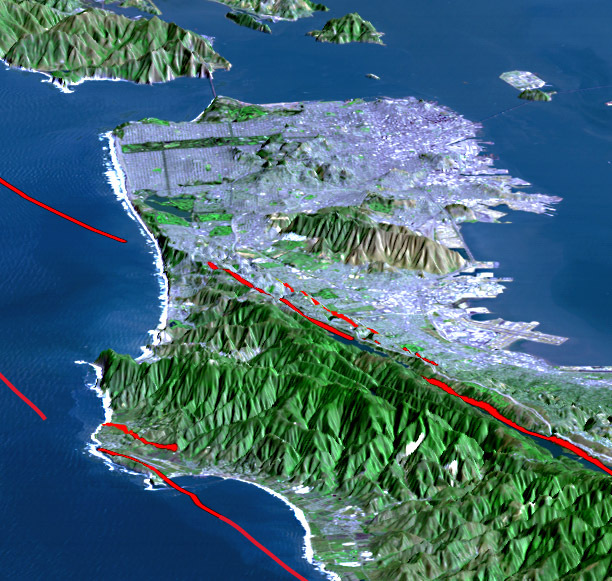 IE San Jose in southbay to San Francisco on the peninsula is built up land mass along the rim of the bay all the way from one city to the other. Oakland on the otherside of the bay is the same way to San Jose. Unlike the rest of the US, our area more than any other gets kicked in the balls because we don't have flat land to develop on. The few flat areas we have have been built on and the mountains ruin any chance for us to sprawl but the bright side is this that it also helped build a continuous connection of the built up areas. It would be nice if you folks could find similar satellite pix of the Randstad area. 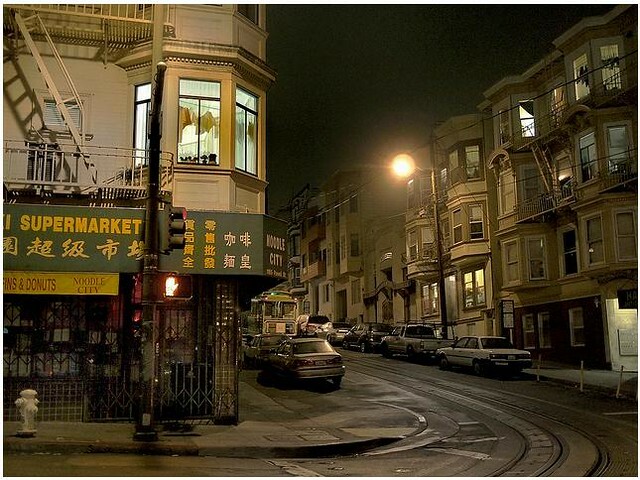 Last edited by scrantiX; 01-12-2013 at 09:51 PM..
Is the Bay Area really cheaper? I actually think the two are really hard to compare from the standpoint of choosing between them. I've lived in the Bay Area, and been to Amsterdam more times than I can remember, and I simply cannot pick one over the other. SF Bay Area is the most expensive area in the US, Manhattan is the most expensive section of the city in NYC but for the whole area the SF Bay Area and Honolulu are the worst place in the US to move to if you want cheap living IMO. I don't know where you got that impression from because I didn't say anything negative about the Bay Area in my post. What is your point of posting a 175-page PDF file? Be more specific. The fact is that the Randstad is more than twice as densely populated than the Bay Area, the reason for it is irrelevant. The ethnic composition of Amsterdam, Rotterdam, The Hague and Utrecht are on their Wiki pages. Look it up if you're curious, I can't be bothered. Well, you're wrong. How on earth do you think 7.1 million people fit into such a small piece of land if the area is not continuously built up? You were giving out false info. The SF Bay Area does not take 6K sqmi, read the PDF 1080 sqmi the SF Bay Area continuously urban population is 5,864,000 and Randstad is split between Amsterdam and The Hague/Rotterdam. 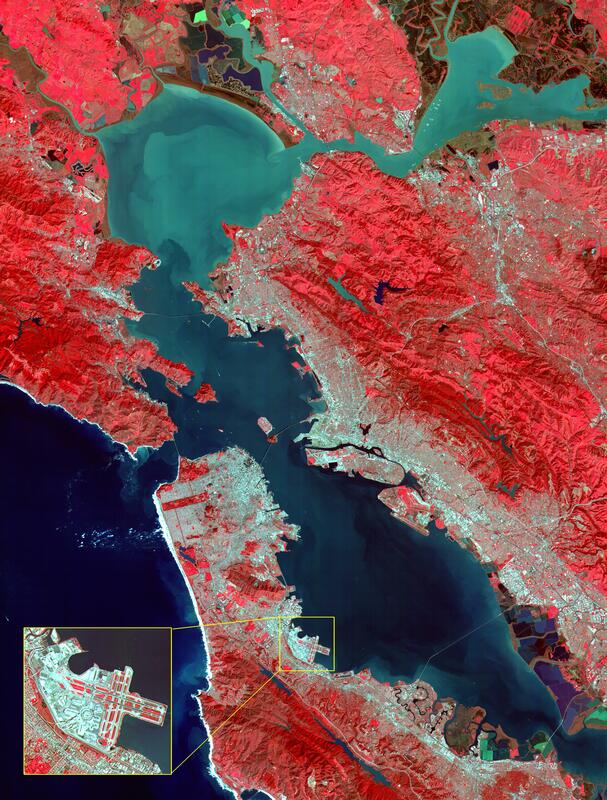 SF Bay Area is built up along the rim of the bay, where the developable land sits. Look at the map and look at the vanilla "agricultural land". That is undeveloped land with sparse population. Last edited by scrantiX; 01-12-2013 at 10:05 PM..
You were giving out false info. The SF Bay Area does not take 6K sqmi, read the PDF 1080 the SF Bay Area continuously urban population is 5,864,000 and Randstad is split between Amsterdam and The Hague/Rotterdam. The Randstad reaches much further than Amsterdam, The Hague and Rotterdam. It includes Utrecht (which is another major city in a different province) and dozens of surrounding smaller cities and villages. Are you really that lazy? SF Bay Area there is no rural land between the 3 cities, it is built up. No, but you said yourself there were mountains and there's limited flat land to build on, unlike the Netherlands. The two are so different, it would invariably be a US vs the Netherlands comparison. As Scrantix has pointed out, the Bay Area is one of the more expensive places in he US for housing, and SF (the city) is significantly more expensive than the suburbs. If I were to compare, say, the Jordaan to ...oh...Pacific Heights ( someone please feel free to correct me if my comparisons are outdated), I doubt you'd find it cheaper. 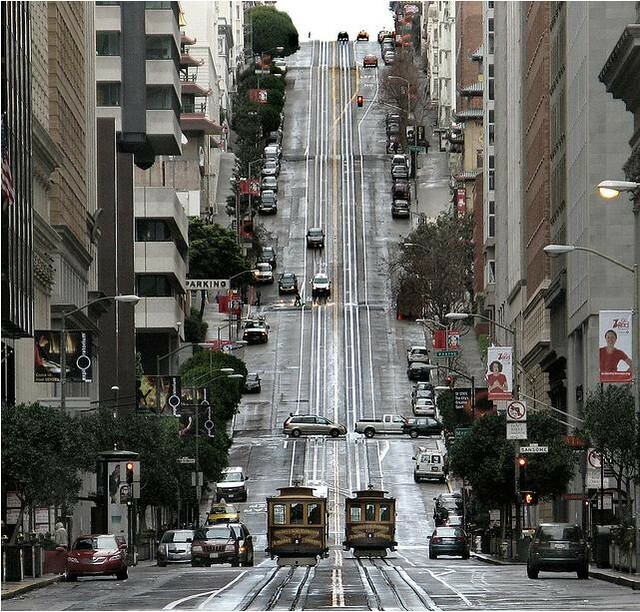 SF weather is not warm year round, and some would say it is never warm. That said, you could just go to a different neighborhood for different weather - gotta love those microclimates! If June in Twin Peaks is too cold for you, you could jump on BART and go to Brekeley and be at least ten degrees warmer, maybe more. I remember once strolling through San Rafael (north of the Golden Gate bridge) in mid 70 degree weather, and an hour later freezing in the 40s at SF airport. I dunno I have never cared to visit The Hague or Rotterdam. Amsterdam looks interesting the other two look boring. I don't expect folks to visit San Jose or Oakland btw. The links to both, you folks decide they are zoomed to the same scale. 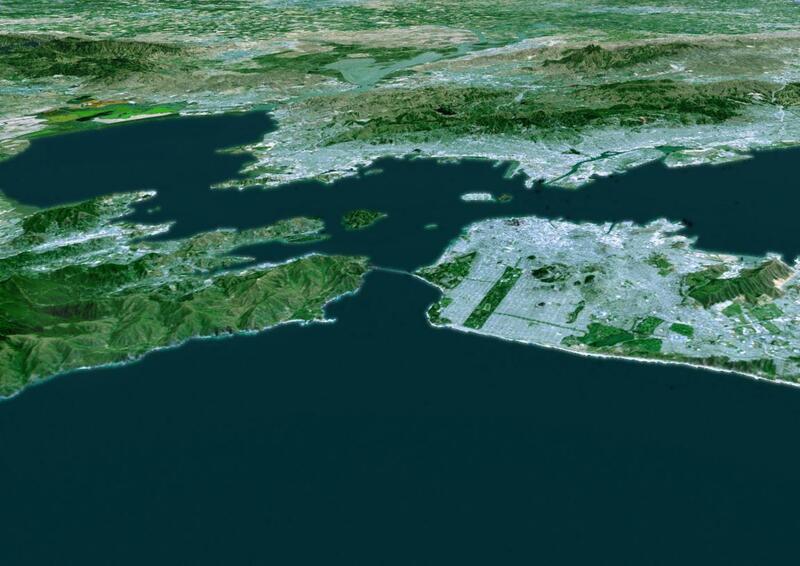 IMO the SF Bay Area looks more built up and urban than Randstad... Area between northwing and southwing looks rural underdeveloped IMO. There are no numbers. I wont be having this discussion until someone posts numbers, that's what I wanted. A paragraph talking about different groups with no numbers or percents is really credible. Only places they provide numbers for are Turkey and Morocco.